Click on any picture for a larger image, then click on the image to further enlage it. Nagasa: 15.08 inches (383.00 mm) long. 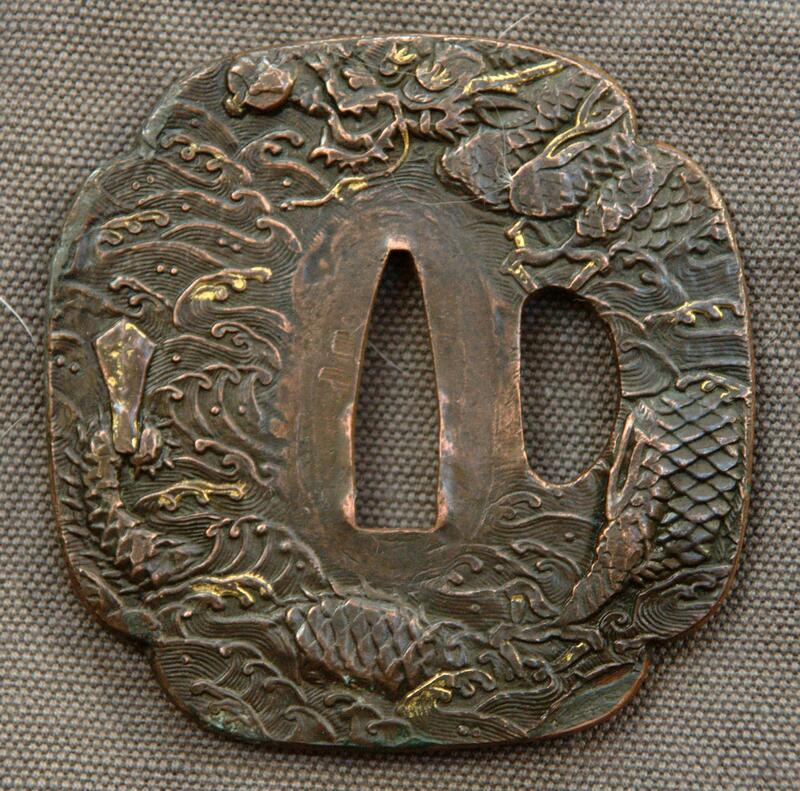 Nakago: Ubu, 5.39 inches (137.00 mm), one mekugi-ana, yamashiro-jiri. The yasurime are only slightly sloped from kiri. Kissaki: The boshi is kaen. Moto-haba: 1.12 inches (28.50 mm). Moto-gasane: 0.24 inches (6.00 mm). Hada: Difficult to say. Could be masame. Showing signs of tiredness in places. In reasonable polish with very minor surface scratches. 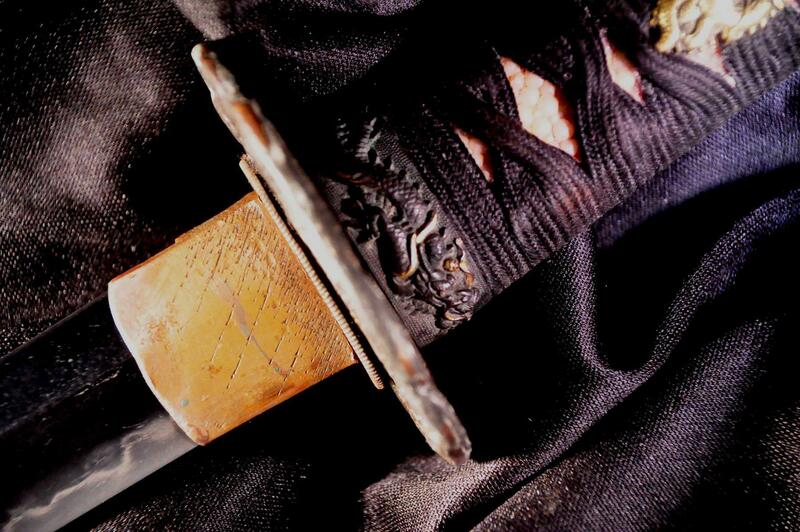 In koshirae (see pictures). 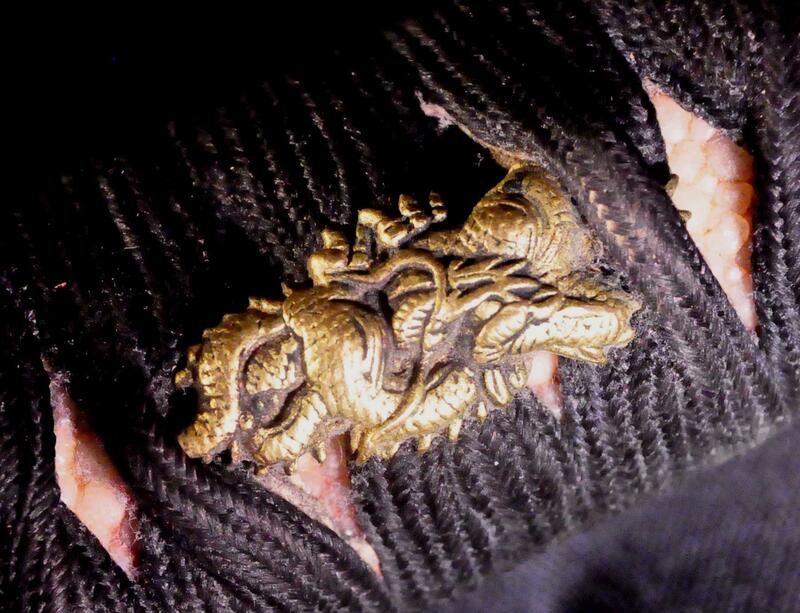 The fittings are enthusiastically on the subject of dragons. 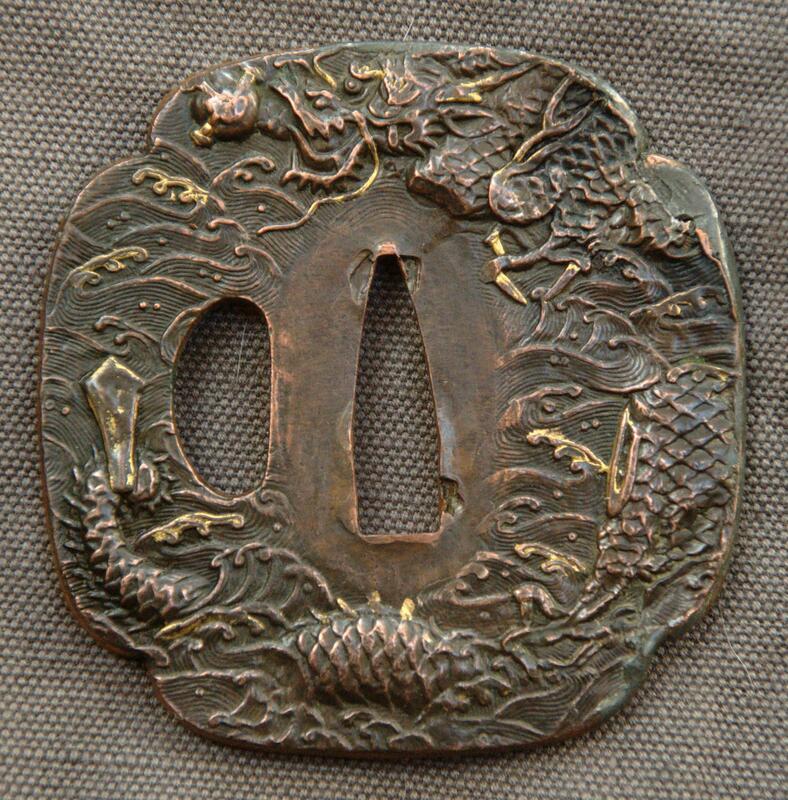 The copper tsuba depicts a dragon and waves; the gilt design has rubbed off in places. 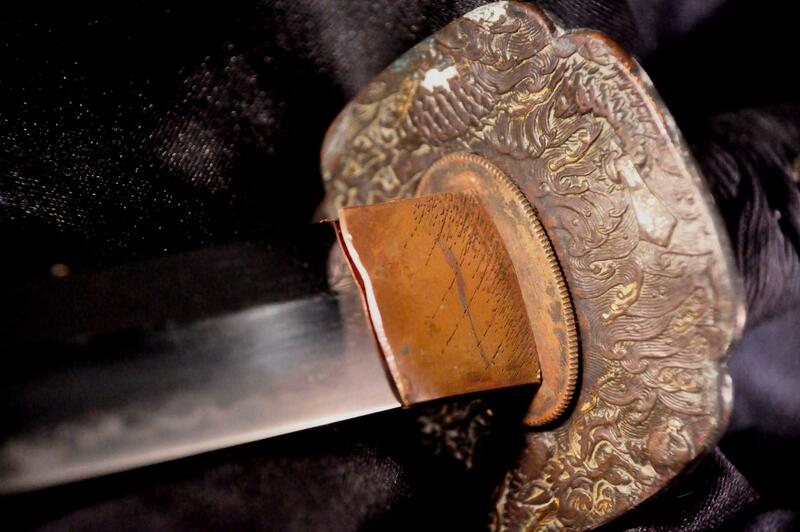 The signed ko-gatana has a copper kozuka, of an originally gilt dragon. 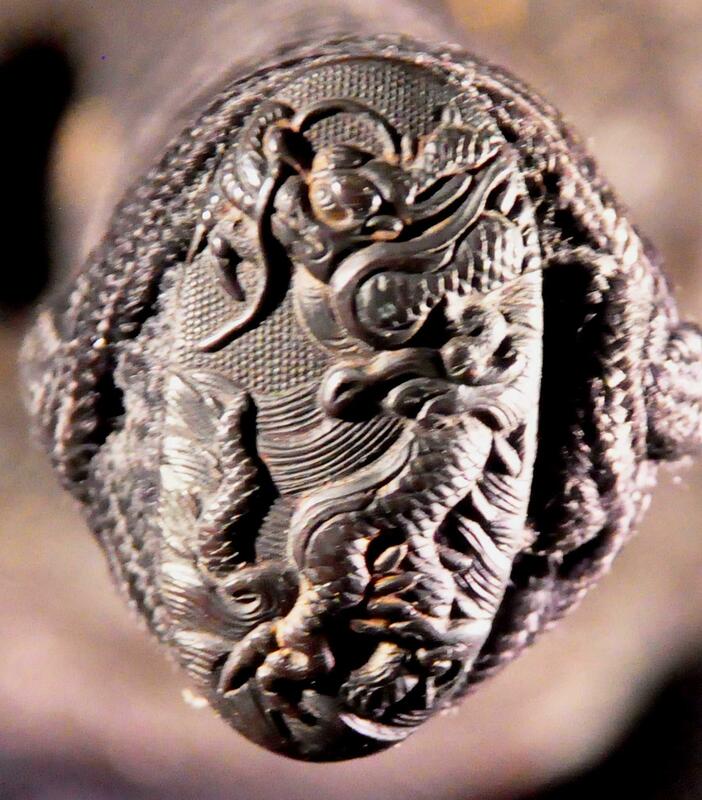 The fuchi-kashira depict dragons, and the gold menuki are dragons. 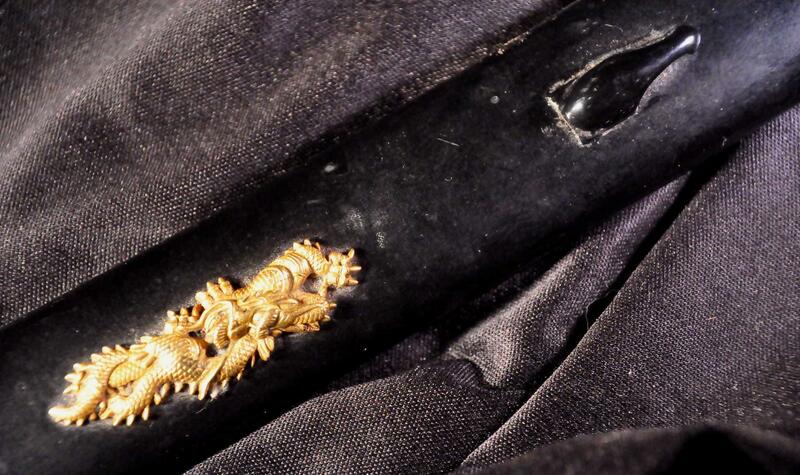 Even the saya has a gold dragon on it.